First, there was Wifi, and it was good - with terrific sound, strong expandable signals and the ability to link together multiple speakers on a single network -- all with no wires anywhere in sight. 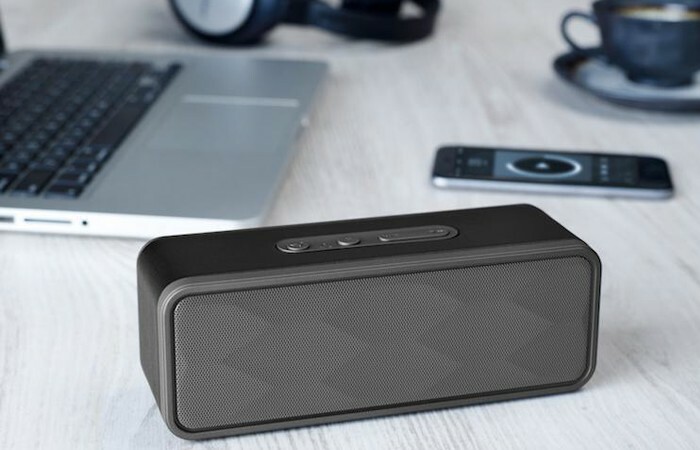 Next came Bluetooth connectivity, and it too was good, providing an inexpensive, flexible solution with multiple options for playback from phones, tablets, PCs and other devices. Now users had a choice to make - which could be confusing. And that wasn’t so good. Today we’re here to help sort through the pros and cons of both Bluetooth and Wifi connectivity options so that you can make the smartest decision for playing back music in your retail location or office. When Wifi first hit the scene, most people couldn’t believe what they were seeing - all their networks, PCs and other crucial tech devices could now be connected without wires running anywhere and everywhere. For many businesses, especially those seeking to fill a larger physical space with music, wireless was the best choice. Popularity of the Bluetooth format happened fast. One day people were talking about this new standard of wireless connectivity, and seemingly the next it was a part of our daily lives, providing a smooth universal connection between a vast array of devices, both at home and in the workplace. In sum, choosing Wifi or Bluetooth to connect music-to-speakers provides numerous benefits, but may also come at a cost. Wifi is more expensive, but delivers richer sound and a wider, expandable range of service. Conversely, being able to use Bluetooth on existing devices mean lower startup costs, but that comes at the expense of sound quality and range - which is decidedly smaller than traditional wireless. At Cloud Cover Music, we create unforgettable music experiences for your business that are compatible with both WiFI and Bluetooth connectivity formats. You can use your own smartphone, tablet or PC to connect to, and control, your music mix via Bluetooth, or use Wifi to take advantage of our SONOS-based proprietary system that provides unprecedented control and sound quality. When you work with CCM, we’re here around the clock to help you select the format that is best for your business. And to see for yourself which format best meets your needs, visit our website today, and take advantage of our 14-day free trial.